The juxtaposed position of the lush fairways and the barren desert gave rise to the term “The Desert Miracle” back in 1988 when Florida-based course designer Karl Litten was commissioned by his Highness General Sheikh Mohammed Bin Rashid Al Maktoum, when the first all grass championship course emerged from the arid desert sands. The course came to prominence when it was awarded its first European Tour event back in 1989 when the Dubai Desert Classic was born. The Majlis, which translates to “Meeting Place” in Arabic, measures 7,211 yards and flows around the original desert dunes. The course features hundreds of indigenous species of flora and fauna which are complemented by the beautifully lush Bermuda grass fairways that wind their way around the seven fresh and salt-water lakes, bringing water into play on ten of the eighteen holes. Rory McIlroy 4/1 tees it up again this week and the bookies have instantly installed him as their favourite and it’s not hard to see why. 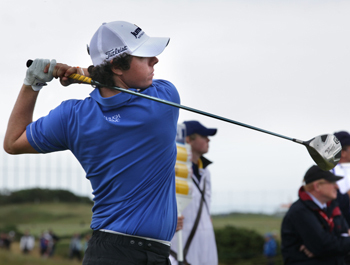 Rory needs all the Ryder Cup points he can get before he heads off to play on the PGA Tour. Alvaro Quiros 25/1 is looking to make it a double at the Dubai Desert Classic with a hat-trick of wins in Dubai after capturing the end of season Dubai World Championship in December. Robert Rock 40/1 is being offered at fantastic odds and I would get on the 2012 Abu Dhabi Champion straight away before he gets cut. Robert comes into this tournament in great form, not only after his win two weeks ago, but he hasn’t finish outside the Top 15 in his last four tournaments. 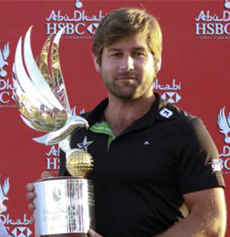 Jean-Baptiste Gonnet 55/1 is having a great season, a 65 last week in the Qatar Masters saw him bag a Top 5 finish. Jean-Baptiste seems to like the early season tournaments, last year he had three Top 5 finishes before April was out, one of them being a forth place in this event. You can also get good odds on Jaco van Zyl 66/1, Jaco sits in twelfth place on the “Road to Dubai” list, and missed making the Top 25 in Qatar, the first time he’s been out of the Top 25 in his last eleven events. Its hard to ignore Jose Maria Olazabal 140/1 especially at these odds, he has been playing so well this year and another good finish at the Qatar Masters made it his second Top 15 finish from the three events his played this season. It’s great to see Jose getting back to his best especially in his Ryder Cup Captaincy year.